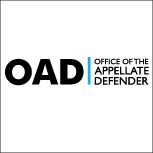 Office of the Appellate Defender is a not-for-profit law firm devoted to providing excellent legal representationto indigent persons convicted of felonies in Manhattan and the Bronx. JALBCA's mission is to leverage the legal community’s strength, passion, and expertise to promote early detection, treatment, and support for all those affected by breast cancer. The Innocence Project is a national litigation and public policy organization dedicated to exonerating wrongfully convicted individuals through DNA testing and reforming the criminal justice system to prevent future injustice. CGLA provides both criminal and civil legal services, integrated with social work support, to individuals facing barriers stemming from an encounter with the criminal justice system.